VK Sasikala, 60, has been maintaining silence as a tribute to late Tamil Nadu Chief Minister J Jayalalithaa, ever since her death anniversary on December 5, Pugazhendhi said. Bengaluru: Upbeat after his victory in the recent RK Nagar by-poll, AIADMK leader TTV Dhinakaran called on his "silent" aunt and side-lined party leader VK Sasikala at the central prison in Bengaluru on Thursday, a party official said. "The meeting lasted for about half an hour at the Parappana Agrahara Central Prison, but Sasikala did not speak throughout the meeting as she is observing "maun vrat" (vow of silence)," All India Anna Dravida Munnetra Kazhagam (AIADMK) state secretary V Pugazhendhi told IANS here quoting Mr Dhinakaran. Ms Sasikala, 60, has been maintaining silence as a tribute to late Tamil Nadu Chief Minister J Jayalalithaa, ever since her death anniversary on December 5, Mr Pugazhendhi said. "She will be observing silence till sometime in January," he added. 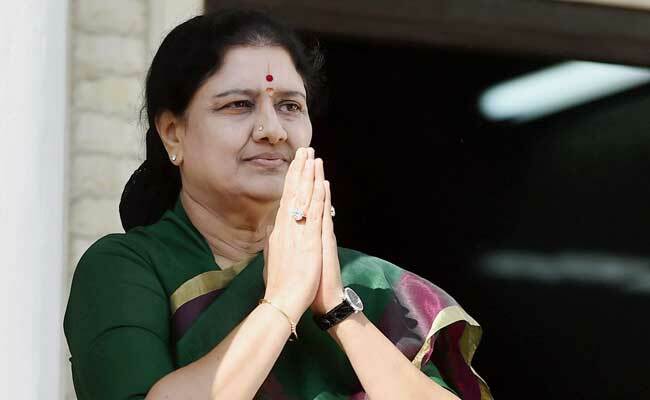 A confidante of late Jayalalithaa, Ms Sasikala is serving a four-year sentence in the central jail on the city's outskirts since February 15, after the Supreme Court on February 14 upheld her conviction in a corruption case by a trial court here in September 2015. Although Jayalalithaa was also convicted in the multi-crore disproportionate assets case as the main accused, she passed away on December 5, 2016, at a private hospital in Chennai. The late Tamil Nadu Chief Minister was also in the same jail here for three weeks from September 26 to October 20, 2015, but was released on conditional bail by the top court. Ms Sasikala's co-convicts Elavarasi (sister-in-law) and VN Sudhakaran (nephew) are also currently serving the sentence in the same jail after they were held guilty in the Rs 64-crore disproportionate assets case of Jayalalithaa. Mr Dhinakaran, 54, was meeting Ms Sasikala for the first time after his victory in the by-election. He had defeated his AAIADMK rival E Madhusudhanan by a margin of 40,707 votes on Sunday.